I’m not making any new year’s resolutions apart from these few regarding my blog. I never follow through on them anyways. Who does, really? Tell me. 1. Read more books off my own bookshelves. I did a fair job at this last year, although I ended up donating more than 100+ titles to various libraries because I knew I would never get around to reading them. Although that didn’t stop me from filling in those gaps with books purchased at the Friend’s of the Library Bookstores. Who can turn down paperbacks that only cost 50 cents? 2. No more fluff posts. If I have nothing to post, then I resolve to not litter this blog with random links or photos, unless someone out there really likes those posts, then let me know, I’ll keep it going. I’d rather post things that people will read than something just to pass the time between book reviews. 3. Read more books by authors I enjoy/not waste time on books I don’t enjoy. This is a two-part resolution. I feel like I spent the majority of 2012 reading books that were major disappointments. My plan is to read more of the authors that I always enjoy (Cecilia Ahern, Melanie Benjamin, Neil Gaiman etc.) and to not waste my time on books that I do not enjoy. If I’m not feeling lazy, I’ll hopefully be writing reviews for both finished and unfinished titles. 4. Post more to my children’s book blog Library-Crossing. With a little one on the way, I’ll be reading a healthy dose of picture & board books that I’ll want to share. Currently, the books I review on that blog are from a librarian’s standpoint regarding their use in storytime. This year’s batch of reviews will be written from a mother’s perspective. More intriguingly, I’ll have a mother’s perspective. So weird, still. 5. Read more about Armenia, books by Armenian authors. Its about time I start focusing on the literary aspect of my culture and heritage. I’ve already determined to learn all of my mother’s Middle Eastern recipes, I might as well supplement with with more knowledge of the history and way of life of my people, in and outside of the US. 6. Craft posts? Eh, I’m still debating if I want to post about my failures adventures in knitting and sewing. I’d rather not start a whole new blog on just that, because it will most likely never be updated. 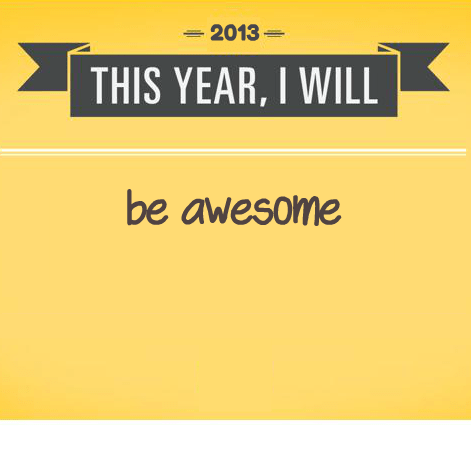 Those are my resolutions for this blog, for this year.What about you? Is there anything different you plan on doing bookwise? My goal is to read 50 books this year! I read 30 last year so to make time for more I’m going to a) stock up on books from the library, b) devote at least 10 pages of reading every night after work and c) keep track on Goodreads.com. Best of luck with your goals! I like your resolution to read your own books. I have boxes of books that are untouched as I continue to order new ones from the library, so I’m determined to clear those, read them, donate them, give them to other book lovers. I am also determined to try and let life unfold, to live it instead of thinking about how to write about it. I love blogging, but I have to remember to do the living first.